Thank you for your interest in obtaining permission to use or to reprint content from our copyrighted articles, videos, podcasts, graphics, or other materials from the Kidpower Teenpower Fullpower International (Kidpower) website, newsletters, or books. 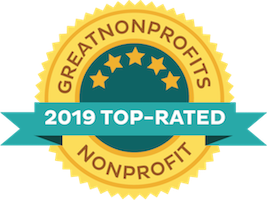 As a global nonprofit leader, Kidpower Teenpower Fullpower International is dedicated to providing empowering and effective child protection, positive communication, and personal safety strategies and skills to people of all ages and abilities all over the world. Our goal is that these“People Safety” will help people to lead safer, more joyful lives and to create cultures of respect and safety for everyone, everywhere— and use of our program in different places by different people helps to further that goal. The purpose of the following Permission to Use Requirements is to share Kidpower’s resources in ways that: are sustainable for our organization, protect our copyright, uphold our quality standards, document the use of our program, and increase our visibility so that others can learn about and benefit from our services. Do NOT use our organizational or program names , copyrighted marketing language, or track record, to describe or promote yourself or as names or promotion for your programs unless you are officially affiliated with our organization. DO keep our name with our work by using the “Kidpower” name with the skills, safety rules, techniques, methodology, and strategies from our program. DO respect our copyright by following our Permission to Reprint or Publish Requirements so you have prior written authorization BEFORE reprinting, translating, emailing, videoing, broadcasting, putting on a Wikisite, using in a newsletter or book, sharing our content in a written class plan, or otherwise publishing any part of our program in any digital or printed form or format. If You Want to Link to Our Articles. 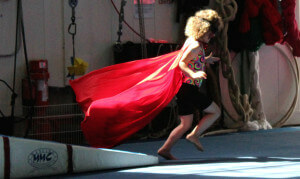 If you would like to reference a Kidpower article on your website or in your email newsletter, you are welcome to include a link directly to the website containing the article, publication, or worksheet on the Kidpower.org website. No formal permission is required, though we do enjoy hearing from individuals and organizations that choose to link to our website. If You Wish to Print One Copy for your Individual Use. If all you wish to do is print one (1) copy of an article or other educational resource from the Kidpower.org online library for your individual use, you can do so directly, using the Print option to ensure that the Kidpower logo, format and copyright is retained, without further explicit permission. We accept and appreciate donations to help support our free library of resources, however checking the agreement box with our Permission to Use Requirements is all that is required to print a PDF document from our online library. If you wish to publish or use our articles or program content in any other digital, printed, broadcast, presentation or other format. Please scroll down to see requirements for different types of uses below. Use our Reprint or Use Permission Request Form to explain what articles or other material you want to use and how you want to use them. We normally grant permission for personal and charitable noncommercial purposes as long as our Permission to Use Requirements are followed, Please ASK US FIRST. submit a completed Reprint/Use Permission Request Form, which you will find on the Requirements webpage. Be aware that broadcasting or publishing, in print or electronically, any content from our website without prior permission is a violation of trademark and copyright law and could be subject to legal action by Kidpower and/or other organizations or individuals who hold the licenses and copyrights. Unless otherwise noted, all material on the Kidpower website is Copyright © 1989-2016 Irene van der Zande with license to use to Kidpower Teenpower Fullpower International and its Authorized Centers. 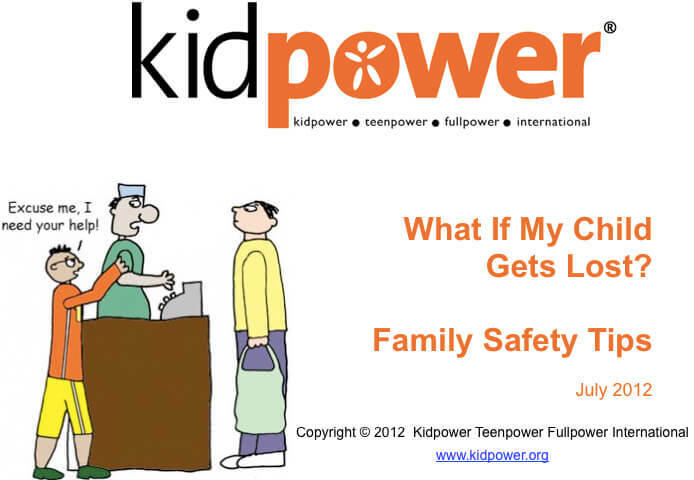 In order to obtain permission, please email safety@kidpower.org and specify which articles and how many copies or people this PDF will be shared with and for what purpose. 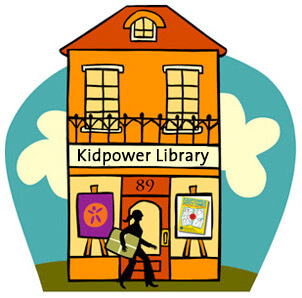 For educational or charitable purposes, Kidpower normally gives permission to download and print copies of the PDFs of library articles on our letterhead with no copy changes, bearing Kidpower’s logo, contact information, and copyright. For the best-quality reprint, use the “print” feature that is available on the article page. Note that donations to help maintain our free library resources are gratefully accepted via our “I’d like to Donate with my Download” button, which uses PayPal to process your donation payment. If you have trouble finding the PDFs for the material you wish to copy, please let us know. Instead of sending or posting individual PDFs of articles electronically, please send out the URL with the title so people can click on it individually – as this helps with our website visibility and copyright protection. If you wish to inquire about permission to reproduce, publish, or post one of Kidpower’s articles on another website, Wikipage, or other online location, please fill out and email us a completed Use and Reprint Permission Request Email. (This request email has 8 questions to answer. If you do not see the questions using the link, click here to copy/paste and send your answers via your own email program.) We typically charge a license fee to republish an article online; fees may be reduced or waived for nonprofit organizations or noncommercial purposes. We normally grant permission for personal and charitable noncommercial purposes as long as our Permission to Use Requirements are followed. We will respond to your request by email within 3 business days with any questions or explicit permission guidelines applying to your specific requested use. Kidpower welcomes requests for reprints of original Kidpower content in media outlets, newsletters, magazines, books, flyers, etc. Please fill out and email us a completed Use and Reprint Permission Request Email. We typically charge a license fee to publish Kidpower content in printed publications. Please contact safety@kidpower.org to inquire about licensing fees; fees may be reduced or waived for nonprofit organizations or for noncommercial purposes. We normally grant permission for personal and charitable noncommercial purposes as long as our Permission to Use Requirements are followed. We will respond to your request by email within 3 business days with any questions or explicit permission guidelines applying to your specific requested use. Permission must be obtained using the Use and Reprint Permission Request Email and all of the Guidelines below must be followed. This means that, in addition to the traditional way of citing sources in academic projects or papers, ideas from the Kidpower program and educational resources must be acknowledged at the BEGINNING of the use with active links to the www.kidpower.org website and the source itself. For example: “Ideas from the book Bullying: What Adults Need to Know and Do to Keep Kids Safe, published by Kidpower Teenpower Fullpower International, are incorporated into the following paper. Kidpower is a global nonprofit leader in providing child protection education and personal safety skills to people of all ages and abilities since 1989. www.kidpower.org”. The Use and Reprint Permission Request Email has 8 questions to answer. If you do not see the questions using the link, click here to copy/paste and send your answers via your own email program. Kidpower welcomes requests for filming or making other audio-visual or artistic representations of skills, role plays, or key concepts from our program, as long as Kidpower is publicly acknowledged and all of the Guidelines below are followed. Please fill out and email us a completed Use and Reprint Permission Request Email. Each of our books has its own copyright notice. If you wish to publish, adapt, re-create, further develop, and/or translate any portion of the Kidpower publications in any form, prior permission and a licensing agreement will be required from the author or her authorized representative. Articles or excerpts must be reprinted in their entirety with no copy changes without prior approval. Do NOT use our Kidpower Teenpower Fullpower organizational or program names or copyrighted organizational and program description language for your own marketing or fundraising because this might give a confusing impression that you are part of our organization – unless of course, you actually have developed a partnership with our organization and are receiving training and separate authorization to represent us in your area. Do not keep more than two Kidpower articles at a time on your website. We have been advised that it hurts both your and our Google rankings to have too much duplicative material on our websites, so we need to limit the number you use at a time – but you can rotate them if you wish. In fact, many groups send our articles out to their constituents in their newsletters, blogs, and papers. Do let us know if any of these requirements don’t work for you so we can discuss to see if you can figure out how to share our material in a way that meets both our needs. Do tell us how use of our program ideas or materials have benefited your readers or the people you serve, including sharing stories and comments. 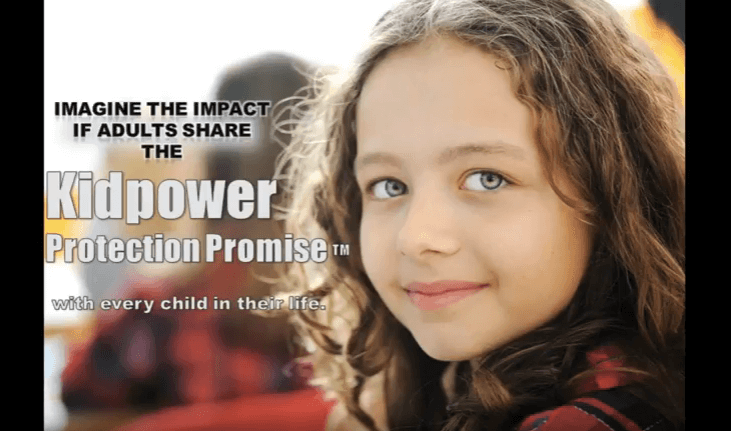 Please note that there are a few articles on Kidpower’s websites for which Kidpower has permission to publish, but for which it does not hold copyright. As these articles are not Kidpower’s property, we are unable to grant reprint permission for their use. If you wish to use or reproduce any part of our program in any print, digital, or audio-visual form, please fill out and email us this Use and Reprint Permission Request Email, and follow the Guidelines as explained above. Complete and email us the Use and Reprint Permission Request Email. We will respond to your request by email within 3 business days of receipt with any additional questions or with explicit permission guidelines applying to your specific requested use. If you do not hear from us within 3 business days, please email safety@kidpower.org to ensure we received your request. 3) The purpose for which this material will be used – how will this use help people? 5) The form of the use – presentation, print copies, newsletter, inclusion in a paper or article? 6) How will these materials be distributed? 7) How many people will benefit from this use? 8) When will this happen?